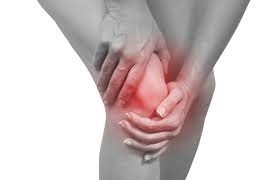 Knee pain is one of the more common conditions treated at Hinterland Physio. There are many different structures that make up the knee complex, and therefore accurate diagnosis is highly important. Similar to the hip, the knee can have pain referred from lower back injuries. Types of treatment for knee injuries are: knee mobilisation techniques, massage, taping, stretches or strengthening exercises, home exercise programs. Knee assessments should be done in conjunction with a lower limb assessment, including an analysis of your foot biomechanics.